University of Eastern Finland take use of a new and easy-to-use EEG electrode set for the measurement of the electrical activity of the brain. 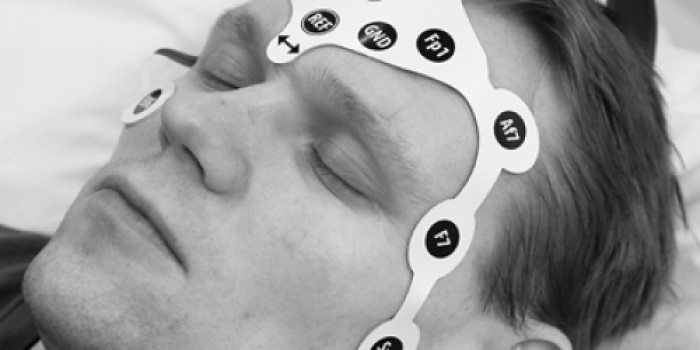 As EEG measurements in emergency care are often performed in challenging conditions, the design of the electrode set pays particular attention to the reduction of electromagnetic interference from external sources. EEG measurements can be used to detect such abnormalities in the electrical activity of the brain that require immediate treatment. These abnormalities are often indications of severe brain damage, cerebral infarction, cerebral haemorrhage, poisoning, or unspecified disturbed levels of consciousness. One of the most serious brain function abnormalities is a prolonged epileptic seizure, status epilepticus, which is impossible to diagnose without an EEG measurement. In many cases, a rapidly performed EEG measurement and the start of a proper treatment significantly reduces the need for aftercare and rehabilitation. This, in turn, drastically improves the cost-effectiveness of the treatment chain. Although the benefits of EEG measurements are indisputable, they remain underused in acute and emergency care. A significant reason for this is the fact that the electrode sets available on the markets are difficult to attach on the patient, and their use requires special skills and constant training. This new type of an electrode set is expected to provide solutions for making EEG measurements feasible at as an early stage as possible. The EEG electrode set was produced using screen printing technology, in which silver ink was used to print the conductors and measurement electrodes on a flexible polyester film. The EEG electrode set consists of 16 hydrogel-coated electrodes which, unlike in the traditional method, are placed on the hair-free areas of the patient's head, making it easy to attach. The new EEG electrode set significantly speeds up the measurement process because there is no need to scrape the patient's skin or to use any separate gels. As the electrode set is flexible and solid, the electrodes get automatically placed in their correct places. Furthermore, there is no need to move the patient's head when putting on the EEG electrode set, which is especially important in patients possibly suffering from a neck or skull injury. Due to the fact that the disposable electrode set is easy and fast to use, it is particularly well-suited to be used in emergency care, in ambulances and even in field conditions. Thanks to the materials used, the electrode set does not interfere with any magnetic resonance or computed tomography imaging the patient may undergo. The performance of the electrode set was tested by using various electrical tests, on several volunteers, and in real patient cases. The results were compared to those obtained by traditional EEG methods.